Strategically situated in Cheras, where our head office is located, Allied as it is usually referred to, has expanded its operations to Singapore, Kota Kinabalu Sabah, and Brunei being our latest expansion within the region. 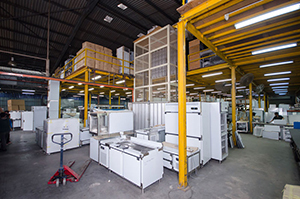 Allied maintains a close business relationship with all our clients, by supplying quality fabricated and imported equipments, and supportive towards after sales service in sales and service maintenance. Our well trained Sales & Marketing team together with our Project team reaches out to existing and new clients to discover their needs for a new F&B venture. Being recognized by reputable F&B equipment manufacturers, we were selected to represent quality and reputable brand names like Therma-Tek, Carpigiani, Rational, Friulinox, Dean/Frymaster, Moffat, Adventys, Roband, Menumaster, Blanco, IFI, Besser, Prince Castle, Hallde, Hatco, Rational Production, Scotsman, Bunn, Kolb, Scotsman, Sun Mate and many more. 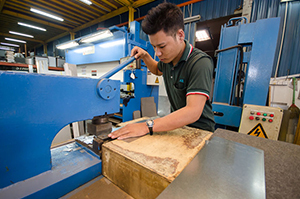 Allied has the manufacturing facilities and technical know-how to produce a wide range of products from our machineries including the latest electro hydraulic press brake with Computer Numerical Controls. In keeping up with progress and the improving of productivity, additional machineries will be acquired to upgrade the factory facilities periodically. 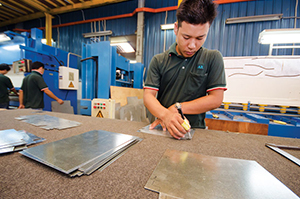 Our production co-workers comprise of skilled and semi-skilled levels, some of them are rated among the best stainless steel fabricators in our industry. Besides on-the-job training, special workshop sessions are conducted to upgrade their individual skills. After more than 2 decades, Allied has continuously been supplying to many reputable international companies as well as local companies. We are proud to be appointed as the permanent Kitchen Consultant and Supplier for many International and local restaurant chains in all their present and future outlets in the Asian region. We have completed several projects in Indonesia, Singapore, Thailand, Shenzhen China, Australia, Sri Lanka and India. We foresee securing more projects in these regions in the coming years. Allied's business strategy is implemented on ardent commitment by its dedicated personnel who work as a team with a sense of faith, responsibility and dignity. We are proud to have as high as 90% repeated clients. 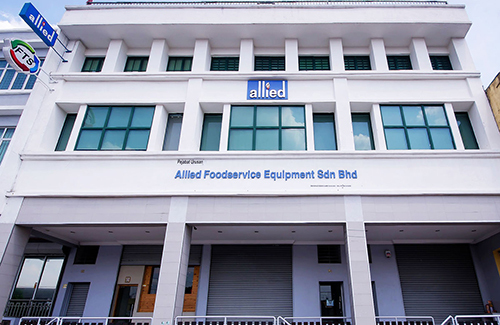 To enhance its commercial performance and business achievement, Allied has increased its workforce particularly in the service and maintenance area in order to provide a better and speedier after sales services. In line with the Group’s expansion program, Allied is now in the process of planning the acquisition of more advance precision machineries and equipment and the employment of more skilled personnel to increase the manufacturing production capacity. The management team driven by passion takes pride in their work. 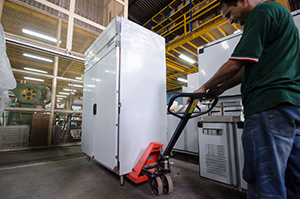 Our perseverance, persistence, concerted efforts, going that extra mile in achieving total quality and client’s satisfaction have proven to be Allied's main forte in carving a niche in the food service industry. "To be the PREFERRED, TRUSTED and RESPECTED kitchen specialist in this region." We aim to achieve our vision through total service satisfaction to our customers in terms of quality of work, service delivery and product knowledge. It is our mission to supply products and services that have unmistakable technological value and that contributes to improving the work and life of those who choose them. We believe that consistent, ethical and quality performance with our customers, associates and employees will result in long-term relationships. We are accountable to each other, our team members, our customers and our business partners. We focus on the details that deliver performance. Exceeding all expectations and excelling in everything we do. We believe work the safe way is the best way to work. We never compromise the safety of our employees and the public. We create experiences that delight our customers. Demonstrate respect among ourselves and others. Treating others the way we want to be treated. We always honour and keep promises, living our values through action. We foster productive relationships and work as a team to meet the organization’s goals. We remain strong by working together.